Childhood in pastoralist communities means herding in the bush together with warriors. It means to be always on the move in search for water and pasture. The young generation learn all about pastoral lifestyle but lack school education. Old men, women, babies and school children stay in permanent settlements, so do the two girls Theresa and Tilita in Loiyangalani, northern Kenya. 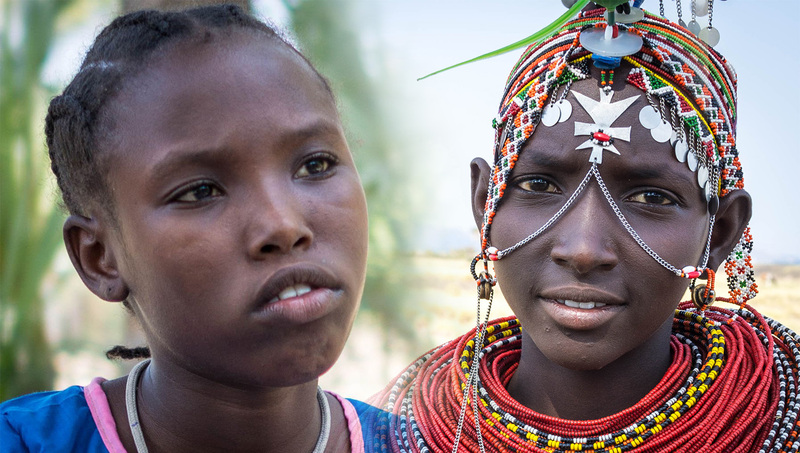 The two girls are of the same age and live in the same family in a Samburu community. And here end the similarities. Theresa grew up traditionally. She herded the animals around the distant grazing camps and did not go to school. When she turned 13, she was circumcised and was married into Tilita’s family. Tilita went to nursery and then to school. She wants to finish her secondary school and then study to become a teacher. As we follow the two girls through their daily routines, they tell us about their very different worlds. While Tilitas future is expected to be promising and self-determined, Theresa seems to be caught in poverty and dependency of the traditional role of women. To empower her and the other illiterate women we developed together with them a multimedia e-Learning program called ethno e-empowerment (www.eeem.org). With cultural based true-to-life content they learn playfully basic literacy and simple calculations to acquire necessary business and life skills. The film will be shown at the FESTIVAL DU FILM Pastoralismes et Grands Espaces the 12.-14.10.2018 in Grenoble. 0 responses on "Two Girls - Two Worlds"